The year is 1937. Eight formerly ordinary young men are studying to become spies in a top-secret intensive program, D Agency, run by the fearsome Lieutenant Colonel Yuuki. Idealistic Sakuma is a military academy graduate sent to observe the spies’ progress. 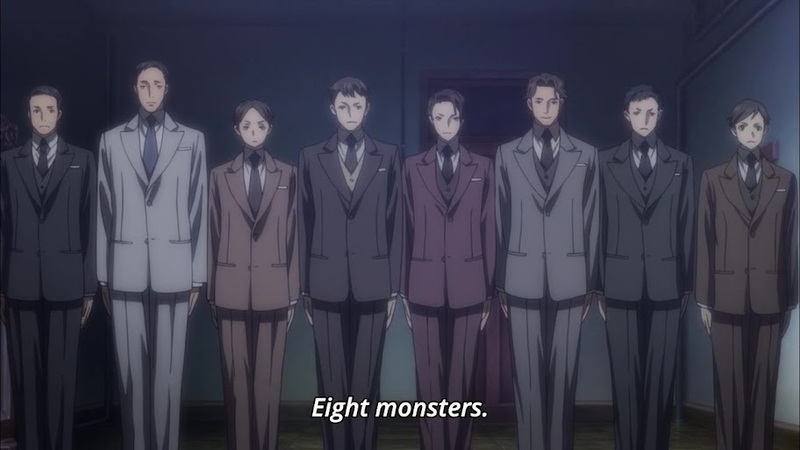 The eight men introduce him to their favorite pastime, “Joker Game,” a highly tense game of poker that is less about winning and more about manipulating other players and using secret signals to figure out your opponent’s hand. 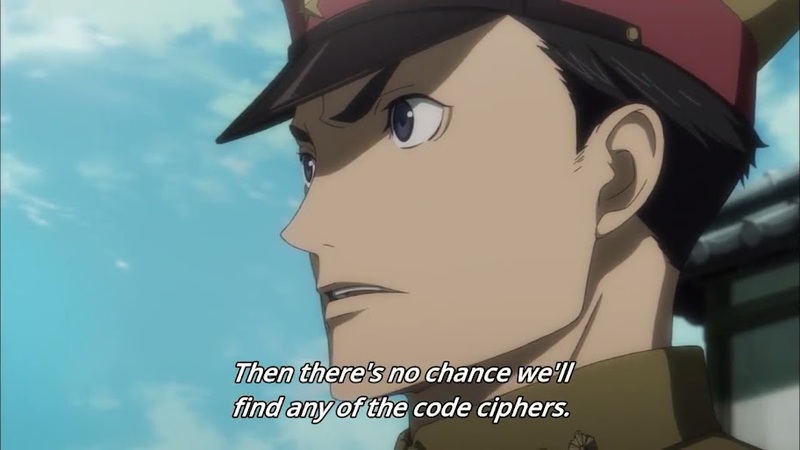 Yuuki explains that the Joker Game is training for actual political situations, where you must learn to keep your own information safe while stealing your opponents’ secrets without their knowledge. Sakuma and Yuuki clash, with Sakuma calling spies cowards and Yuuki mocking Sakuma’s willingness to die ‘for his country’. He introduces his two cardinal rules of being a spy: don’t commit murder and don’t commit suicide, because in either case you will fail your mission immediately. A Western man living in Japan, John Gordon, is suspected of being a foreign spy. D Agency is tasked with finding evidence of Gordon’s treachery, and decide to disguise themselves as a military police unit conducting a raid on his house. Sakuma is roped into assisting with the scheme and posing as the unit’s commander. Sakuma realizes too late that he has been tricked, as the spy Miyoshi promises Gordon that their ‘commander’ will commit seppuku if no evidence is found in his house. When Gordon offhandedly reveals that his house was already searched several days ago, Sakuma finally understands that this was all an elaborate plot by the military to discredit D Agency, and his death will be D Agency’s revenge. The episode ends before we can learn if Sakuma escapes his fate. 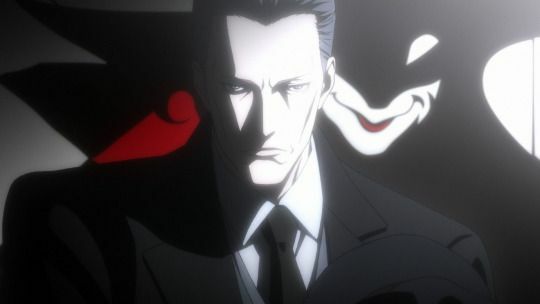 Joker Game is one of those shows that could very easily have been pretentious, given its subject matter (wartime intelligence operations) and its characters (spies-in-training and military officers). Refreshingly, I at least did not find the first episode to be like this at all. I thought it was quite enjoyable. Despite being fairly slow in pace, this show kept the tension and the stakes high throughout, and I never found myself growing bored. The cast of characters is fairly large, and the eight spies didn’t get much development and do have a little bit of Same Face Syndrome going on. But I can forgive that in a first episode, especially as Sakuma, Yuuki and Miyoshi (the spy who carried out the plan to eliminate Sakuma) have all established themselves as compelling characters. My absolute favorite thing about this show was the atmosphere. Joker Game is set in the year 1937 – and it genuinely feels that way. The soundtrack is jazzy, the colors are subdued but not overly dark or dreary, and a number of scenes are overlaid with a haze of smoke. I found the last especially to be a nice detail – the health hazards of smoking were not widely known at the time, so it’s a very realistic touch for most characters to constantly have cigarettes in their mouths. And the clothes! While many other anime would have spies in highly impractical, ridiculous uniforms, the characters in Joker Game wear plain, period-typical – yet still suave – vests, suits and hats. It’s refreshing to see a spy story that emphasizes spies needing to appear normal and blend in, rather than constantly pulling out overly large guns while having scantily clad women fall all over them. 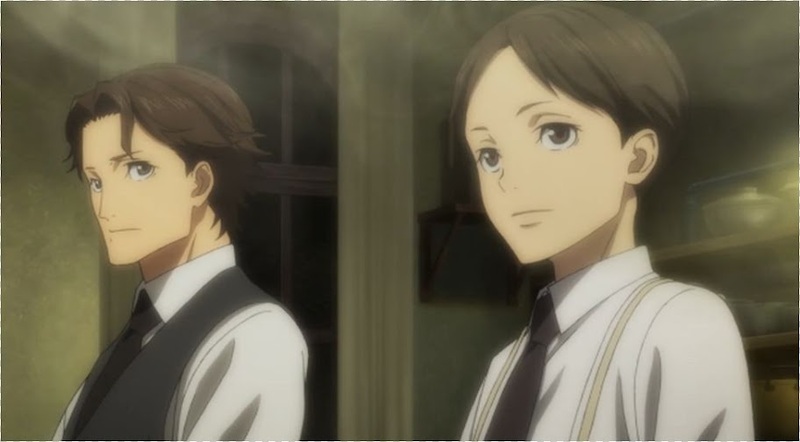 Yes, again, I hope the spies come to develop a little more as distinct characters, as I will fully admit to being unable to tell them apart yet, but at least in Joker Game‘s case that’s kind of the point. I have seen a lot of comments so far referring to this show as “politically uncomfortable” or a “red flag” due to being set before/during World War II, a time period not frequently utilized in anime. To those people, all I have to say is – a first episode is WAY too early to make that kind of judgment. Yes, I know that judging things by their first episodes is kind of what we do here at Moeronpan, but there’s a difference between saying “this looks like it’s going to be pretty fanservice-heavy” and “this show is definitely going to glorify WWII Japan’s military actions”. I actually think Joker Game has done a good job so far at being morally ambiguous – neither Sakuma’s nationalism nor Yuuki’s more cautious, save-yourself information-above-all attitude are portrayed as inherently right or inherently wrong. I think a show can handle big moral/political questions while being set in this usually avoided time period, and do so with respect and understanding. Whether Joker Game will be that show, though, remains to be seen. With that first episode and especially that cliffhanger, I’m definitely along for the ride. Whether I’ll blog this, though, remains to be seen – this season has presented me with multiple good blogging candidates so far, and I’ve still got more to go!